The Must-Read Novel – What’s Yours? I just did a search for a list of must read novels of all time. Boy, there’s a lot of suggestions. 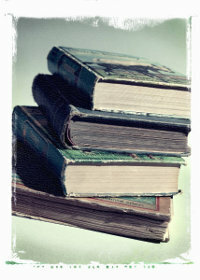 It made me start thinking that I should ask the people I respect the most – writers! If you’re a writer – or an avid reader – I’m curious to know which book you would recommend over any other. The only criteria is that it must be fiction. Oh, and don’t feel you must submit suggestions of acclaimed ‘great’ literature. If you loved a recent YA novel, I want to hear about it. On the dark days of November, don’t you just feel like curling up with a good book? One that keeps you guessing, thinking and rooting for the hero? Whether you like reading in front of a fire or on the subway to work, you are not going to be able to put down the creation of the newest member of our family. William Topek has masterfully woven a story of mystery, murder, gangsters, business and, of course, a beautiful woman into our latest release – Shadow of a Distant Morning. You won’t help but fall in love with Devlin Caine and his matter-of-fact intelligence that mixes with his unshakable ethics. Set in an era that most of us don’t know – you’ll be transported back in time to when things were actually not so much different than they are now. We can’t tell you how much we enjoyed working on this book – it’s a great read, and we hope you’ll enjoy supporting William by picking up his book at our store for half price for the next few weeks. Kansas City, 1934. Devlin Caine, a WWI veteran and former Pinkerton’s operative, is hired by a wealthy industrialist to check out a potential business partner. The job is simple and the money good, but for Caine, it’s a short step from checking public records to being roughed up in a back alley. Clearly there are things the client neglected to mention, such as Caine’s predecessor on the job being found in the Missouri River with a slug in his chest. When the man Caine is investigating turns up murdered as well, Caine finds himself in the middle of a power struggle between his client, a competing industrialist, and a local underworld boss – all after a coded notebook Caine found in the dead man’s hotel room. Desperate to unlock the mystery of the notebook (and to protect his client’s beautiful young daughter), Caine plays the three men against each other in an effort to buy time. He knows only one of the three rivals can win this battle, and backing the wrong side will cost lives, starting with his own. 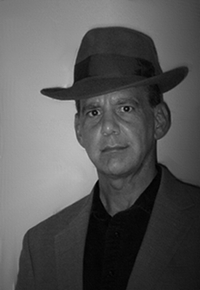 William Topek is originally from the Midwest, but has lived and worked throughout the United States and overseas. His widely varied career has included serving on active duty in the U.S. Air Force, teaching in a foreign middle school, and conducting regulatory seminars and security training as an employee of the federal government. He is a graduate of the University of Kansas and received his MBA from Willamette University in Salem, Oregon. His interests include film, fiction, history and the art of storytelling. 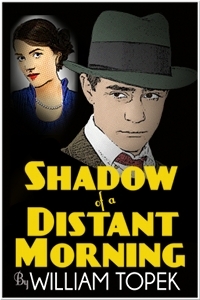 Shadow of a Distant Morning is his first novel.